Convenience store system that offers computer-assisted ordering, merchandise receiving, item verification, and automated store audit. 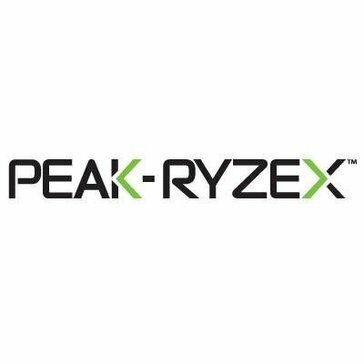 Peak-Ryzex Inventory allows you to control inventory levels and item movements in your warehouse, distribution center, stockroom, or store and streamline your inventory tracking and physical inventory process. Reflexis Task Manager simplifies store execution by replacing multiple convoluted communication methods with a user-friendly interface, saving retailers millions otherwise lost to unproductive operations. It is the flagship application of the integrated family of products in the Reflexis Real-Time Store Operations Platform. Add-ons include: Reflexis StoreWalk: Simplify retail store audits with digital checklists, streamline the process for district and store managers, and ensure stores run according to corporate best practices. Mobility: Use Reflexis solutions on a mobile device or tablet. Advanced Analytics & Reporting: Analyze trends and exceptions in compiled store data to assess current business situations and gain insight to outperform competition. Reflexis Systems, Inc. is privately held and headquartered in Dedham, Massachusetts, with the Customer Operations Group in Kennesaw, Georgia and international offices in the UK, Germany, and India with additional sales presence in Canada and Latin America. Visit us at www.reflexisinc.com. Retail-1 Suite is a retail management application that has excecution components that includes merchandising and inventory management, priceing and promotion management, store and employee sales, and customer retaltionship management. 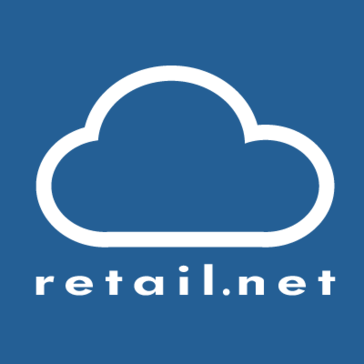 Retail.net is a cloud-based retail solution that centralizes, real-time architecture and infrastructure that provides access to information and can be integrated to corporate, store, and mobile channels. Shopxie is a SaaS based Omni-Channel platform for retail segment. StoreFeeder is a premium multi-channel retailing solution for businesses who sell on eBay, Amazon, Magento, Shopify, and more. Wincor Retail covers a variety of solutions for international retailing that allows you to manage your customer-oriented business processes from the store level through to the head office. With Vision you have control of your daily operation, providing access control with tools to manage inventory, customer service, reporting, purchasing, and point of sale. Visual Retail Plus is a point of sale & inventory management software solution with an integrated e-commerce solution that was made by retailers for retailers. Windward System Five is a complete business management system that will help you gain control of your business from front counter sales, to the storeroom, to your back office accounting. WooPOS is a retail point of sale and a store management system. ABM is a business management software designed for small and medium size enterprises to maintain their accounts, books, stock, orders. Acmeinsight is a business management software for retailers, wholesales, distributors and small manufacturers. ADD Systems is excited to announce the addition of Nutrition and Ingredient Labeling as part of our ADD eStore foodservice offering. Alpha-E GSoft-POS (Wholesale) is complete Wholesale Software solution for Garment, Cloth Store, Footwear, Departmental Store & Chain Store, the best selling software with unmatched modular solution with powerful tools. It takes care of each and every requirement of Wholesaler and Distributors. Amber Engine is a team on a mission to change how furniture companies manage their product data. Assist software offers you the best features of billing, inventory, accounting, and reports with a very low price for your retail business. Assist Restaurant Management Software is a rich featured, easy to use software with a vast number of reports to analyze and make your business more profitable. Ant takes the manual work out of your retail backend. When you need to expand your sales channels, automate your inventory movements and dynamically manage your business, Ant has you covered. ANV Retail is a businessmanagement software designed for retail businesses, with sales, inventory management, analytic, accounting and reporting tools. Apollo RMS is a cloud based system that monitors the level of fuel inside the tank and relays this data via secure, wireless connection to the receiving modem within transmission range. Aptos is a provider of analytics, business intelligence and warehousing solutions for retailers that includes inventory balance, price management, order management, allocation, replenishment and more. Aria Retail Hub provides an enterprise wide framework for operators to manage every aspect of retail operations including inventory , point of sale (POS) , CRSs and customer management. Quicksofts Art- RM is a business application for the retail community. It takes care of all the day-day activities of the retailer and covers all aspects of the retail industry. ArtsMagna is fully integrated Multi-Store Retail, Wholesale and Manufacturers Management System for Windows or MacOS which includes, POS, multi location Stock Control with Auto-Replenishment, BarCoding, Integrated eCommerce, and much more! Automan POS is an Open Source based Retail Management Solution for Independent Retailers. AXIND Software is designed for companies who want to spend more time designing fast selling products, and less time in managing people, and processes. Billing Software is India's grocery focused, web based billing inventory and retail management software which also works offline. BIRetail offers retail analytics solution providing retailers with data-driven insights for sustained decision making. Bloomforth is a platform built for retailers, artisans, and wholesalers. BUNNY Centeris on-cloud solution for a retail brand to manage its operations efficiently and bring in more revenue. BusyBench is a business management platform with invoicing, CRM, repair ticketing, POS, and inventory management tools for your computer repair shop. Candela RMS can manage any size retail stores by managing the sales through its excellent POS and optimizes inventory across multiple outlets of a retail organization. CAP POS is a multi-store engine whereyou can process transactions, and the back office tool bar includes powerful inventory control, extensive reports, CRM and marketing tools, tag printing, pricing and promotion management, and more. Cashier Live is the point of sale software you’ve been looking for. Whether you need to quickly ring up sales, track inventory, or view sales data and reports- you can get the job done with one simple tool. CashPoint is a SQL-based back office accounting solution that manages data entry work, efficiency, and provides standard of money management. 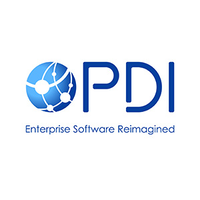 Franchise Management software for growing your brand and improving franchise unit economics. ChainSync - Love your Franchise ! SSCS is a gas station/convenience store software provider founded in 1981 by a multi-site petroleum entrepreneur. Our understanding of the industry has grown out of those beginnings and helps us effectively address the needs of our customers, from single gas station operators to the largest oil companies in the world. CONTROL POS is a point of sale solution designed to help you preform a wide-range of sales inteactions and seamlessly administer daily store operations including back office management functions. CORe is a complete retail management system designed to help manage inventory & sales, and gives you better visibility of stocks, profitability and collections. CounterBooks is an online retail accounting management suite that offers a general ledger designed for multi-site retailers that has been designed to help manage the challenges faced by retailers on a daily basis. Petrosoft is a cloud-based back-office software solution that help to increase operational efficiencies and speed data entry, reconciliation, and forecasting in order to optimize merchandise, food and fuel sales, margins, inventory turns, shrink, and spoilage. Enterprise Retail Suite's provides technology to medium sized retailers by incorporating business intellegence, customer marketing, a merchandise assortment plan and the ability to sails audit. Business Intelligence Module is designed to improve your business decisions, make key choices about inventory, marketing effectiveness, assortment planning, as well as other performance indicators. PDI DataMax Envoy offers retailers the flexibility and power to control their operations anytime, anywhere. DetailProPOS set low inventory alerts. Under a DetailPro inventory management settings can set a specific quantity and there will be an alert when any product hits that level. Give your customers a whole new experience of booking rides or sending requests through your own branded mobile apps with features like live tracking their ride and payments through credit card. Give your customers a whole new experience of booking rides or sending requests through your own branded mobile apps with features like live tracking their ride and payments through credit card.